Sometime for no special reasons & without knowing we forget our traditions. Similar is the story with this dish, till this date I never made Sweet Saffron Rice, not that they are complicated or anything but somehow I never made it. Last week while talking to my Mom she told me that's it's Basant Panchami make sweet yellow rice, that's how we refer it in our family. Basant Panchami is a festival to celebrate the first day of spring(basant) and also celebrates the birthday of Saraswati : Goddess of knowledge and arts. Yellow color of the energy giving Sun has a lot of importance in regard to this festival, the coming of Spring after a long and arduous winter, the mustard fields in bloom are a bright yellow, exuding the warmth of an imminent season of Basant or Spring. In north India people celebrate this special day with religious activities and also by wearing kesari(yellow/saffron color) clothes and making yellow color foods. So, here you go Mom I did made sweet yellow rice on the basant panchami for the first time. And the sweet aroma of desi ghee, cardamons and saffron is really incomparable. My mom usually put thin slices of dry coconut(available at Indian grocery stores) for garnish, but I didn't used as I didn't had any. 1/2 cup basmati rice soaked for around 20-25 minutes. 4 Tblsp. of sugar(add more if you like it really sweet). 2 green cardamons(elaichi), seeds taken out & crushed. 2 pinch of saffron(kesar) soaked in 2 Tblsp. of warm milk. handful of raisins(i used dry cranberries). handful of slivered almonds, toasted. Heat ghee in a heavy bottom pan, add cardamons and rice. Stir so that rice get coating of ghee. Add raisins, sugar, saffron along with the milk and water. Cover & cook the rice on medium, till all the water evaporates. Garnish with toasted almonds & coconut(if using). Note : If you don't have saffron, 2-3 drops of yellow food color can be used. Also once the rice are cooked, taste them for the sweetness, if needed add more sugar while they are still warm. 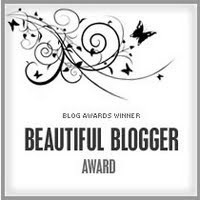 Time for Awards: My first regular visitor on this blog was SE of Denufood, she was the one who passed me my very first award and here are couple of more awards from her, Thanks dear for sharing them and being so nice and regularly not only visiting but taking time out to write few lines on each single post. 1) Would love to have my own kitchen garden one day, till then I'm planting my herbs and veggies in the pots. 2) Can't watch T.V without reading some magazine or doing some crochet along with it. 3) Love fried foods, thanks to not properly ventilated kitchens here I don't fry often. 4) Love to start my day by taking all the veggies for the whole day, out of the fridge. Looking at the basket full of fresh veggies(though sometime they r in the fridge for almost a week) makes me happy. 5) Love to end my day doing some crochet/knitting even if it is for 10 minutes. 6) Not a health freak but believe everything in moderation is good. 7) I'm not an environmentalist but do my share in reducing, reusing and recycling. I try to use my own grocery bags but still end up with lot of produce bags as we mainly use fresh produce only. 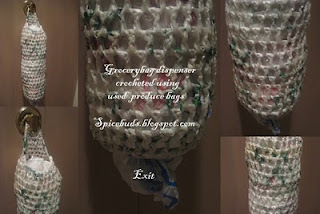 Below is the picture of plastic bag dispenser I made using used produce bags. hey...thats awesome...nice info about the basant panchami...we celebrate the start of the new year on the first day of Chaitra month !! !...and good to know more about you..!!! sweet saffron rice looks so temptingly delicious! 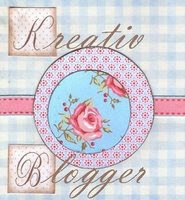 Loved reading more about you and your crochet dispenser bag is great! Congrats on the awards. i make this during festival...love the flavour and taste.. Thanks a lot for sharing the award..remembering me for the award means a lot to me..thanks again..
Just what I need on this cold, cold winter's day ... a little bit of sunshine from your sweet, saffron rice. Love how each rice grain is glistening and pretty ... just lovely! Hey, those bags are amazing! Very creative! I have never made saffron rice but my mom makes often.. I am inspired to try..
Hey & forgot that is a nice sweet prep...looks awesome, which has been presented & pictured well too.... YUMMY!!!!!!!! Looks really good! Thank you for those awards; I am posting them; problem is most of my reviewers are not interested in awards so I will do the best I can.Sorry. That looks very tempting..never tried this rice before. Congrats and thanks a lot for thinking about us :-) really appreciate it ! This is indeed avery simple and easy recipe for sweet rice.Will try it for sure. Congrats on your award..saffron or jarda rice looks yummy and very colourful..i haven't made it past few years..i don't know why? Simply delicious rice..Congrats on ur awards..
i love the dispenser u made..great!!! @Sushma,Jyoti,Gulmohar,Simplyfood do try it out sweet & simple. @Sage, thanks for accepting & posting the awards, it's o.k if u can't forward them. Awesome pic...saffron rice makes me nostalgic....my mum made it often. Meanwhile loved ur crochet bag. I love this saffron rice. I have it posted as zarda. will go and make some now. seeing this i am having some serious urges. Love this saffron rice. My mom used to make it when we were young. Congrats on the awards and thank you very much for thinking of me dear Spice. I love this rice, the saffron and the sugar and cardamom sum up my favorite spices! It reminds me a bit of the Persian rice (saffron), but even more festive. DEfinitely one to try.